I am no writer, but here is my story… I hope it inspires other moms. My name is Anusha Naidoo. I was happily married to my soul mate, and was blessed with a precious daughter. Sadly my world came crashing down on a Christmas Eve whilst we were abroad on vacation. My husband had a massive heart attack and passed on. I was left to Dance in the rain literally… left to raise our daughter on my own. It has been a journey of pain, struggle and numerous challenging situations. There were times I was exhausted, but I had to be strong, my daughter needed me. I had my family and friends who offered me help, yet I often felt alone and empty. Time passes by, and my daughter is a constant reminder of my husband, which is a beautiful feeling. I chose to remain single and live my life with my daughter, trying my best to be a great provider and mom, to travel life’s journey, making happy memories with her. There is a void in my heart that can never be filled, but I live on with God giving me the strength to face each day. It’s not easy playing two roles, but I will continue to do so until my daughter spreads her wings… and l don’t know what the future holds, how I will handle the empty nest syndrome… only time will tell. Life is for living… and I have to live it as I will not pass this way again. So to single parents, be it through a divorce, separation or loss of a spouse… live on, be strong and never ever give up as there is always a solution to every situation, and never be afraid to ask for help from your loved ones. 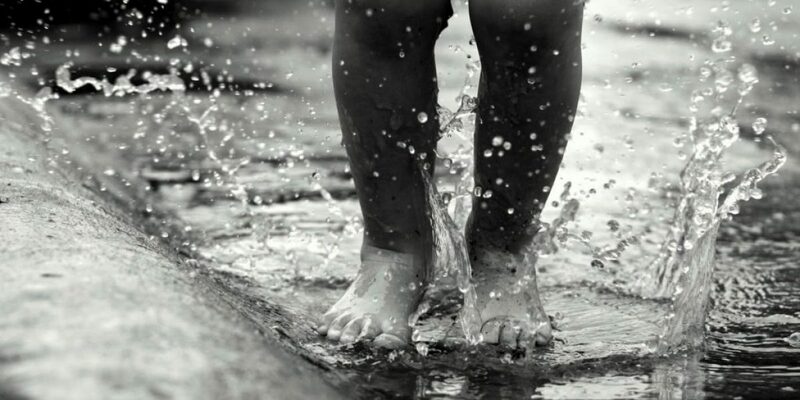 Take it one day at time, and remember there is child that needs you… and learn to dance in the rain like I did. Beautiful! Stay strong and never give up, Anusha! Beautifully written, I loved your story. As I quoted before ” sometimes the only choice we have is to be strong” and that’s exactly what you did. I salute you. I lost my beautiful daughter 8 years ago. Losing a loved one is always painful, but I always picture her sitting at the feet of JESUS. Although I miss her every single day, I know that she’s happy. It makes the pain easier to bear.